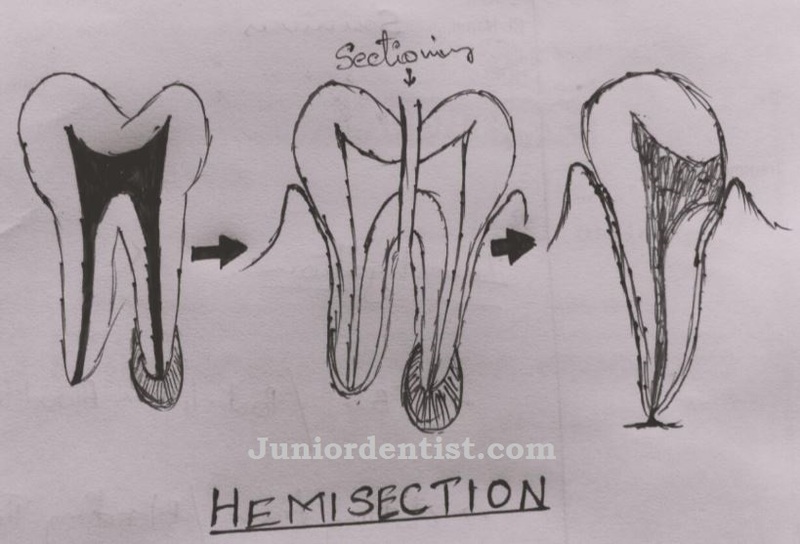 Hemisection is the sectioning of a diseased tooth (usually a mandibular molar) into two parts and removing the diseased root and its connected crown part. Hemisection is also called as “root amputation” or “root sectioning”. Hemisection is usually suggested in Mandibular Molars which have undergone failed Root canal treatment cases where we can see Furcation involvement making it difficult to clean using traditional Root canal therapy. The other reason can be due to procedural Errors by the Dentist is treating infected teeth such as Perforations etc. The main idea behind Hemisection is to preserve as much of natural tooth structure as possible for future prosthetic process. Success rate of Hemisection is pretty good if all protocols are followed. Radisection: It is a procedure done to remove affected roots of Maxillary teeth, it is similar to Hemisection but done on Maxillarry teeth. Bisection or Bicuspidization: Seperation of mesial and distal roots of mandibular molars along with its crown portion and both the parts of the tooth are retained separately. Let us look at the Indications and Contra-Indications of Hemisection. Unfavorable proximity of roots of adjacent teeth, preventing patient from maintaining adequate hygiene. Vertical fracture of the tooth (one root), in cases where the vertical fracture is restricted to only one root while the other root is not affected, hemisection is preferred to save the tooth. 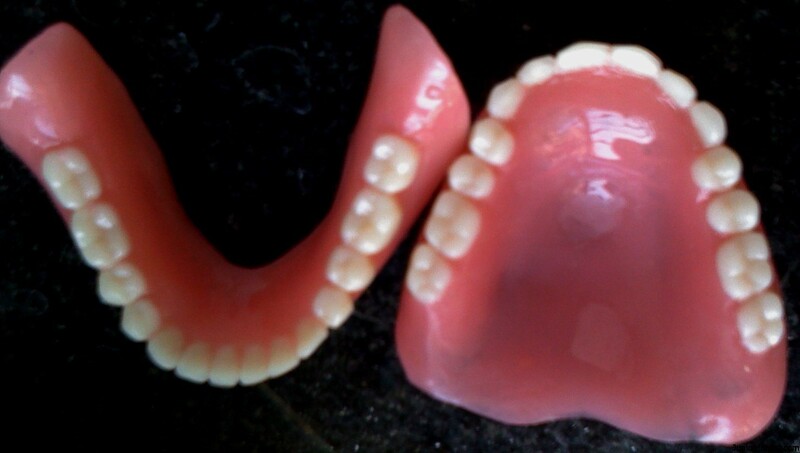 A single tooth (one root of multirooted tooth) is affected in a multi unit Prosthetic Bridge, it is financially and ethically best to go for Hemisection if possible and remodel the bridge instead of removing and replacing the entire bridge. Complicated Root anatomy making it difficult to Section one root without damaging the adjacent root. Fusion of Roots, Curved Roots etc. The affected or involved tooth needs to be accessed to make sure whether the root which is going to be retained is without infection and has sufficient bone support. Roots should be divergent making it easier to extract one root without harming the other one. Endodontic treatment should be performed without any chance of failure of the retained root. The tooth which is going to be Hemisected should undergo Root canal Treatment, in case it is a failed root canal treated tooth, Re-RCT should be done. Now proper Radiographic analysis should be done to decide of the location of the sectioning without damaging the root which is set to be retained. Now carefully luxate the root to be extracted and remove it. The retained tooth portion should be filled with Composite restoration (Crown portion). After the healing of the extraction site is completed, a bridge or single crown is preferred over the remaining tooth. Extraction of the tooth and then going for a Dental Implant or Bridge.